Downers Grove, IL has a distinct mix in the style homes that have been built through the years. But many of those homes are now getting old and very dated. 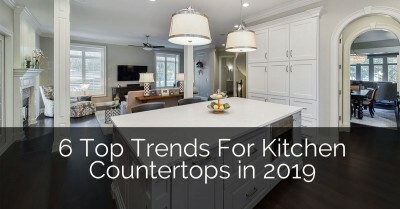 If you talk to a Realtor, updating your kitchen is still one of the best methods of increasing the resale value of your home. 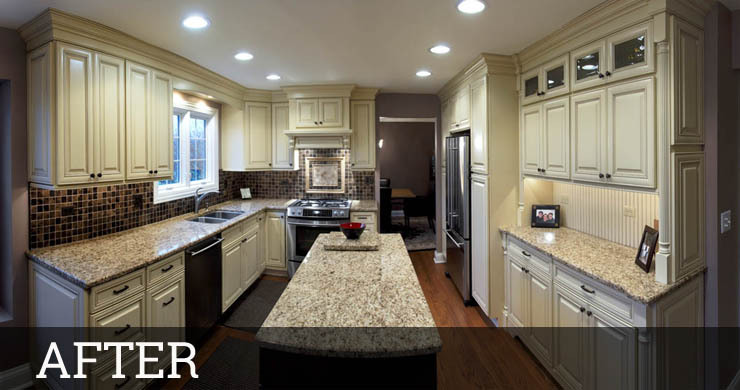 If you live in Downers Grove and your kitchen needs something new, here are 3 kitchen remodeling projects that we completed for some of your neighbors that may get you excited and ready to start the process of your own kitchen remodeling project. 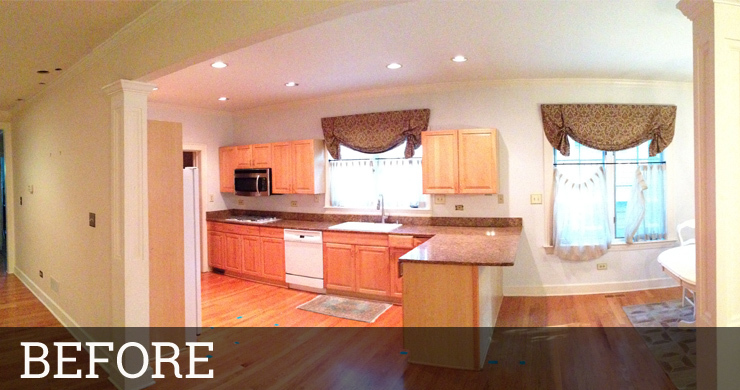 Like most of our client calls, Maxine was sick of her old dated kitchen. Her kitchen was very narrow and previous kitchen designers told her that it was too small for the island she had always wanted. The drywall soffits took up much needed storage space made the kitchen feel smaller. Maxine wanted her new kitchen cabinets to go to the ceiling. She loved white painted cabinets and was willing to spend a little more to get what she really wanted. 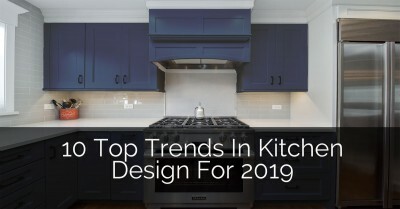 Painted kitchen cabinets have become the most popular trend in kitchen remodeling projects in Downers Grove and all the surrounding suburbs. We always recommend LED under cabinet lighting to help light food prepping areas. The decorative hood was designed using a standard cabinet while adding crown molding and corbels. Because we didn’t custom design the hood, this helped keep costs down. 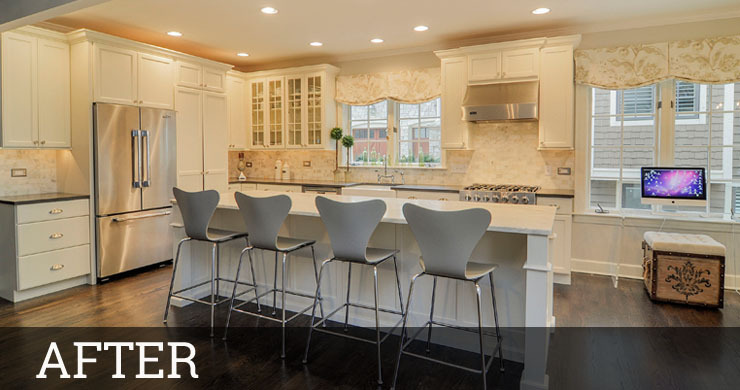 If you’d like to see more pictures of this Downers Grove kitchen remodeling project check it out on our Houzz Page. 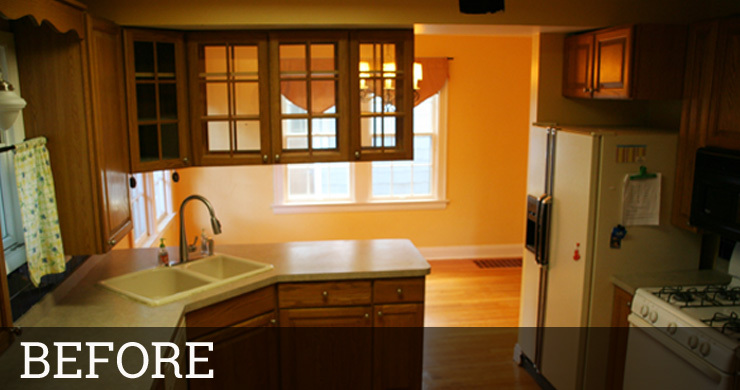 Dennis & Julie lived in an old home in Downers Grove that had a very tiny kitchen. Because they had a large active family it made it feel even smaller. Like Maxine’s kitchen, there were a lot of ugly soffits surrounding the space which contributed to the small space. They also had wall cabinets and a peninsula separating the kitchen and the dining area, which divided the space awkwardly. The lack of lighting made the long Downers Grove winters feel even longer. They were willing to move the dining area into an unused space near their family room. This allowed us to utilize the entire space for a much larger kitchen. The space was not wide enough to include an island, so they added a movable piece of furniture for extra food prep space that may also be moved when hosting large family gatherings. We added a much larger window over the sink on the back wall of the house and replaced the large double window on the side wall of the house with two small transom windows on each side of the range. This added more natural light into the space. 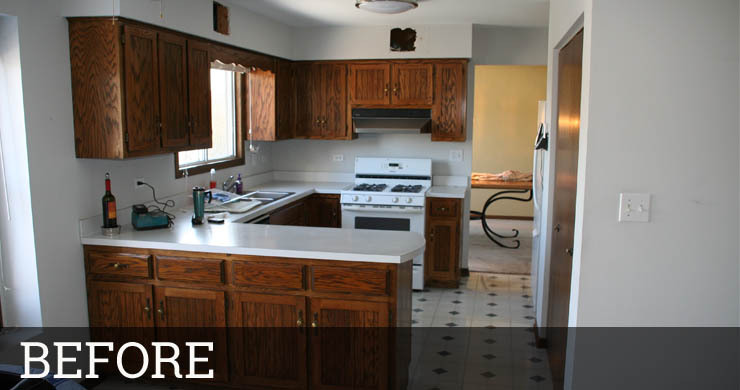 If you’d like to see more pictures of this Downers Grove kitchen remodeling project check it out on our Houzz Page. Ben and Ellen were previous clients of ours. We finished their basement a few years before. When Ellen called me she explained that she wanted to have the kitchen a part of the family room space. So that when she prepares dinner, she can feel like she is in the same room as her daughter. The wall dividing the family room and kitchen also made the space feel smaller. 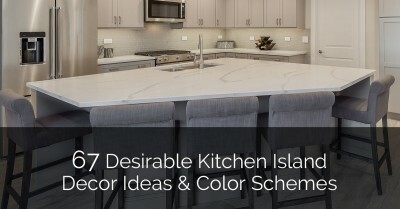 When designing the kitchen, Ellen & I talked about including a large eat-in island. 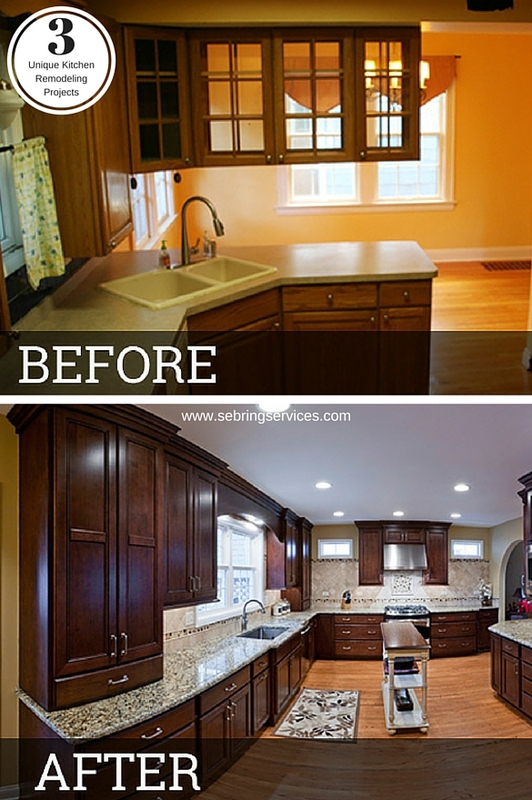 She also loved white, shaker style cabinetry, so we incorporated a transitional style of décor. Next to the fridge, we created a door to access the walk-in pantry. She was very particular about her island countertop color and we searched all over for just the right stone. 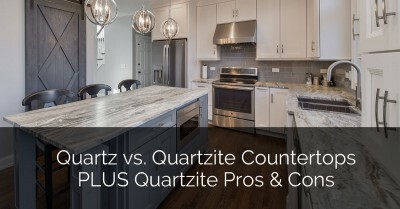 The perimeter countertops are quartz, the island is marble. 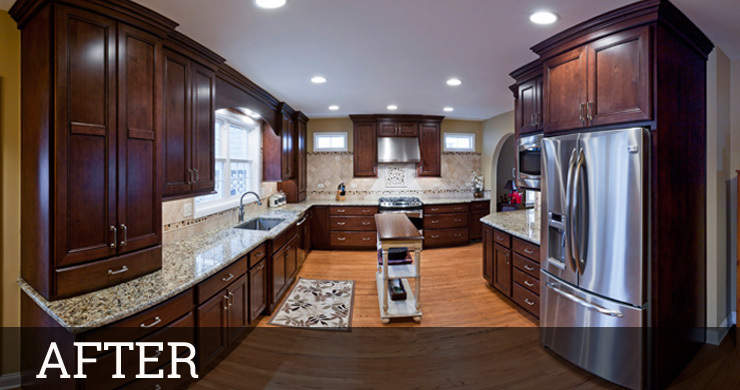 If you’d like to see more pictures of this Downers Grove kitchen remodeling project check it out on our Houzz Page. 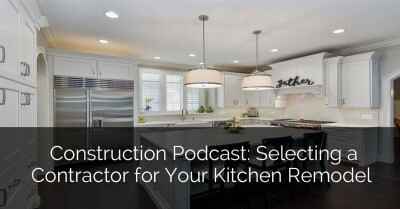 As you can see, there are a lot of options when it comes to designing your kitchen. The best thing you can do is to work with an experienced design professional. 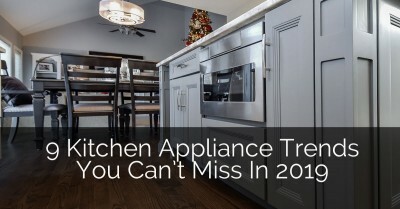 Looking for help in achieving your dream kitchen? 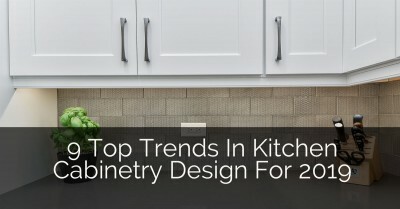 Check out the other articles on Kitchen Remodeling or contact us. How wide is the kitchen in the Maxine’s project, first kitchen on this page. This is clearly to the layout I want but I don’t know if my kitchen is wide enough. Hi Carrie, I believe the space was opened to roughly 13 ft wall to wall, hope that helps, have a great day! Great job! 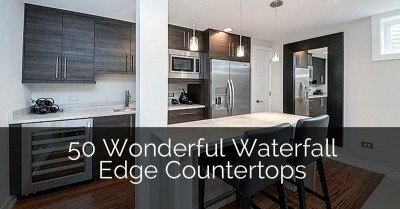 Can you tell me how much space there is between the island and the fridge and the sink and island in the first remodel? Our kitchen is similar and we’ve been told it’s too narrow for an island. Thanks! I asked our project manager and he believes that it is 36″, but because this project took place a while ago, I do not have the exact measurements at hand. I hope that helps and have a great day! 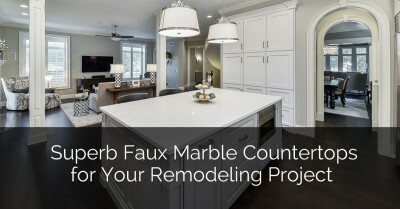 About how much would a kitchen remodel be estimated to? My kitchen layout is pretty identical to Maxine’s, even the oven looks the same. Hi Alyson, you can take a look at our pricing guide, which will provide you with a rough estimate of how much we would cost. Wow! Those are some nice remodels. 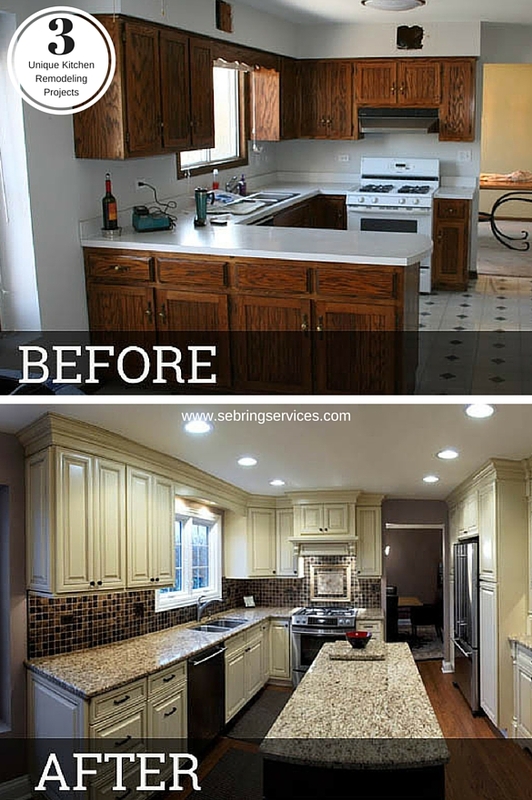 It’s amazing how much of a difference a remodeled kitchen can make. I love following blogs like this to get inspiration for our own clients. Great work guys. 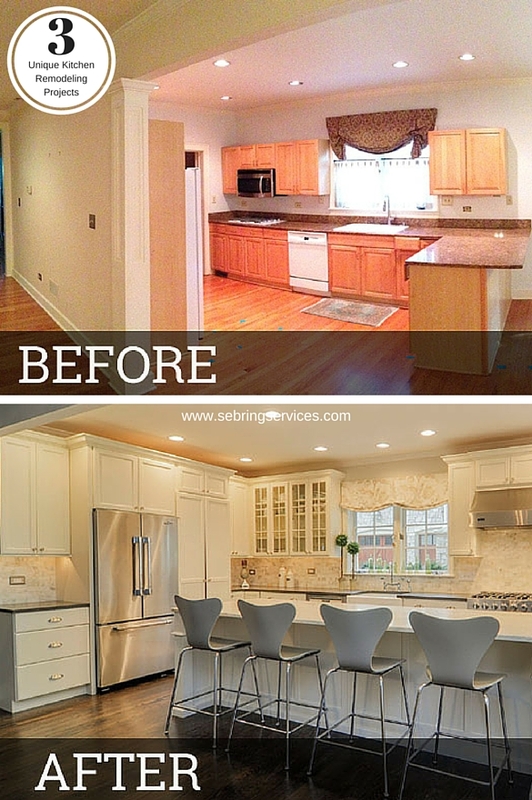 Beautiful kitchen design and remodel. Much appreciated! I enjoy the pairing of white and cream in the last one. How to replace old ugly cabinet doors. Doors are flat with no design at all. Unfortunately we only provide new cabinetry for our clients, so we don’t have much information on just changing the doors. Best of luck on your project though! We are struggling with determining our recessed lighting. Our kitchen layout is similar Maine’s minus the center island. Is there a recommended number of lights based on square footage? We were going to do 4 x 5in cans in the main work area with a pendant at the sink. Would that be sufficient?? There is not a specific guide on this, a local electrician or remodeling expert should be able to provide a good idea when in person. Best of luck on your project! I would like to enlarge my kitchen. At the moment I have a fairly small kitchen with a peninsula. I hope to remove a wall ( load bearing) and would like to extend cabinets and countertops into adjoining dining room. However, the wall I want to use contains the baseboard heating ( forced hot air ). How can I work around this? 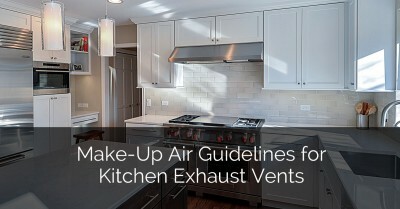 You will need to find a new location and run the venting that way. Talking with a local HVAC company sounds like your best course of action. What color is the cabinets in Maxine’s after pictures?